Hamilton® CapTel® offers a variety of programs and services specifically designed to meet the needs of healthcare professionals and industry managers who serve individuals with hearing loss. Reconnect older adults with people they care about the most. 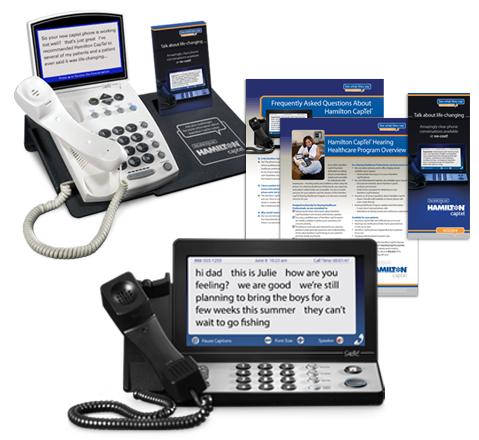 Complimentary demo phones and educational materials are available to show older adults and their family members how Hamilton CapTel works. You can even qualify them to receive a Hamilton CapTel phone at no cost.